YouTube is for watching videos, right? No arguments there. But YouTube is also an unlimited source of restriction-free music anyone in the world can listen to. While it’s easy enough to find and listen to it on YouTube itself, there are other, easier ways. 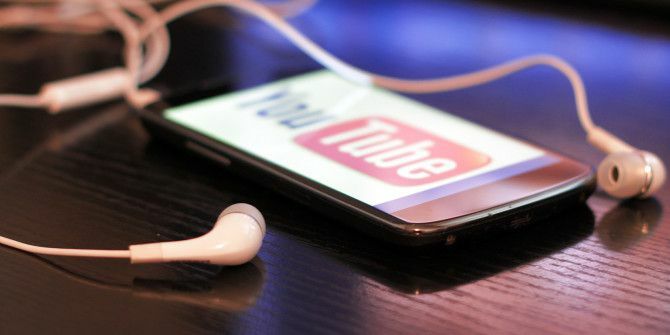 These services will turn YouTube into your own personal streaming service. Streamus is probably the easiest way to play YouTube songs in your browser. Streamus is a Chrome extensions that lets you find songs and tracks from YouTube and start listening to them without ever visiting the YouTube website. Or any website, for that matter — the songs play on the mini-player without disturbing your browsing . The interface is intuitive: search for artists, songs or other videos. Add them to your stream by dragging and dropping or by selecting some tracks and clicking “Play selected”. Once you sign in, you can also save these playlists to Streamus. You can add ready-made playlists or channels straight from YouTube too. To do this, browse for the playlist’s URL and paste it into Streamus. It will take it from there. You can set keyboard shortcuts to make using Streamus even easier, or use Chrome’s Omnibox to quickly search and add more videos to your current stream. Streamus really does turn YouTube into an a stream of free music. If you’re using Chrome and don’t want to actually watch the videos, you won’t find anything better. You can also read our full review of Streamus Streamus Is The Easiest, Coolest Way To Play Music From YouTube In Chrome Streamus Is The Easiest, Coolest Way To Play Music From YouTube In Chrome More teens listen to music through YouTube than any other source. So it makes sense to make it easier to listen to YouTube through your browser. And that's what Streamus does for Google Chrome. Read More before making a decision. If you’re not using Chrome, or if you’re too lazy to pick and choose your own songs, Tubalr is a great choice. With Tubalr, you can’t control the exact songs you’re listening to. Rather, you can choose a genre, a subreddit, or an artist. When choosing an artist, you can either choose to listen to songs only by a specific artist, or to songs by the artist as well as similar ones. When you choose a genre or a subreddit, you’ll get a random selection from YouTube that fits the description. Unlike Streamus, Tubalr lets you watch the videos as well as listen to the songs. There are some additional features to unlock if you choose to create an account on Tubalr. After signing in, you can add songs you’re listening to to a custom playlist, ban songs from playing again, control the video’s quality, and have Tubalr resume your last playlist when you return to it. You can also connect Tubalr to your Last.fm account. All in all, Tubalr doesn’t give you the fine-tuned control Streamus does, but it’s a much easier way to discover new music and artists you’ve never heard of before — all courtesy of YouTube. MuzicGenie is a combination between the control you get on Streamus and Tubalr’s interface. MuzicGenie plays videos straight from YouTube, and therefore requires Flash to work most of the time. If you’re an avoider, like I am, you may need to switch to a different browser like Chrome in order to use the service. MuzicGenie’s interface is a bit more complex. You get four tabs: search, playlists, related videos, and the actual player. To start listening, enter any keyword and start adding results to your playlist. You need to switch to the player tab in order to start listening. If you create an account and sign in, you can also save your playlists to access them again later. If the interface is a bit too much for you, you can opt for MuzicGenie’s older version, which doesn’t offer playlists, but simply lets you search for a keyword and start listening to the songs in the order they appear. The more complex interface makes MuzicGenie a bit more sluggish than other options, but it gets the job done nicely. Want the best of all worlds? That’s what Solayo tries to be. The service streams songs and videos from YouTube, SoundCloud and DailyMotion, letting you either create your own playlists or listen to curated lists by genre. Naturally, you need to create a account and sign-in in order to save your own playlists. Solayo’s interface is organized so that your player always takes the right part of the screen, and while it’s doing its thing, you can continue playing on the left side, adding more songs to the queue, creating new playlists, and more. Solayo is somewhat of a social network of its own. You get to have a profile with a picture and a cover, and you can like songs and follow other Solayo users. These features are not an essential part of the experience, though, and you can enjoy your free music on Solayo without dealing with any of it. The only glitch I encountered was some songs just wouldn’t work. Unfortunately, this happened a bit more often than I would have liked. The errors don’t always mean much, and the bottom line is that the songs you want just won’t play. This didn’t happen with any of the other services I tried. Nevertheless, Solayo does offer some advanced features worth checking out, especially if you want to combine a by-genre radio and your own playlists in the same service. 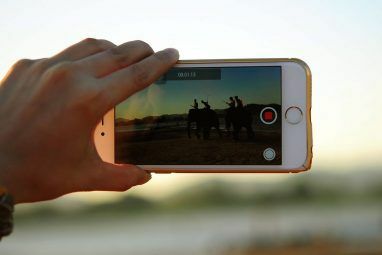 YouTube may be a rigid Google service, but with the right tools, you can flex and bend it in interesting ways. 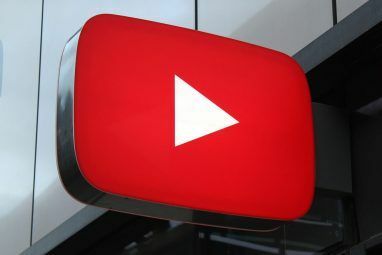 If you’re looking for more original ways to make use of YouTube, be sure to check out these excellent Chrome extensions 7 Chrome Extensions to Make YouTube Awesome 7 Chrome Extensions to Make YouTube Awesome YouTube is the king of video services, but not everything about it is perfect. However, there are some awesome Google Chrome extensions to fix these common annoyances once and for all. Read More and these Firefox add-ons Make YouTube Better & Get Rid of Annoyances With These Add-Ons [Firefox] Make YouTube Better & Get Rid of Annoyances With These Add-Ons [Firefox] Watching videos is one of the best pastimes you can find online, and what source for videos is better than YouTube? 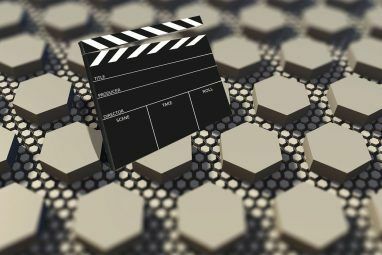 YouTube is the largest video website online, and when looking for a video, you’re... Read More . They’ll help you use YouTube in ways you can’t imagine. How do you listen to music on YouTube? Tell us about it in the comments. BTW, my previous comment was when using Firefox v36.01; I do hear music when using Chrome. However, still cannot find where to sign it?! I cannot hear anything when I tried TUBALR. Also, how & where do I sign in? I too was hoping for mobile alternatives. I don't have much time to spend in front of my computer nowadays. :( but thanks for the list anyways. I like the ideas shared here, I just don't belong to the group of people that can try them out based upon my life demands at this phase. Oops, you're absolutely right! Sorry about that. I fixed it now, so you can view the Chrome extensions too. Thanks! Well, too bad the picture was misleading. I thought the article would be about apps for my phone to make youtube music listening easier. Nope, I don't sit in front my computer to listen to music, I'm either using headphones on my phone or in my car.